Dealmakers at Grant Thornton across the Midlands have reported a busy run of transactions at home and abroad with deal values totalling £260 million over the last six months. In August the Midlands team provided financial and tax due diligence on the acquisition of Nottinghamshire based line marking specialist Riggotts & Co by Tenants Consolidated for an undisclosed sum. This followed advising Lincolnshire-headquartered Belvoir Lettings on its acquisition of regional estate agency Newton Fallowell for £6.3 million and measurement systems supplier HORIBA’s £83.1 million acquisition of MIRA, the provider of research services to the automotive, railway and aerospace sectors. The team has also advised on a succession of IT sector deals, providing due diligence on the acquisition of security software value-added distributor Wick Hill by Stratford-on-Avon based Rigby Private Equity and the investment by Rigby Group in data connectivity business Fluidata. Grant Thornton also advised Maven Capital Partners on its investment in Flow Communications, a specialist IT integrator. Cross-border deals continued to drive corporate finance activity, with Far Eastern acquisitions of UK-based companies still figuring strongly, despite fears of a slowdown in Chinese growth rates. During the period the team advised the shareholders of trailer leasing company Grayrentals on its disposal to Hong Kong International Aviation Leasing Company, Miniclip, one of Europe’s largest independent mobile and online game publishers on the sale of a majority stake to Tencent Holdings, a provider of internet services in China and South Korean-parented Doosan Industrial Vehicle UK on its acquisition of Rushlift Limited. 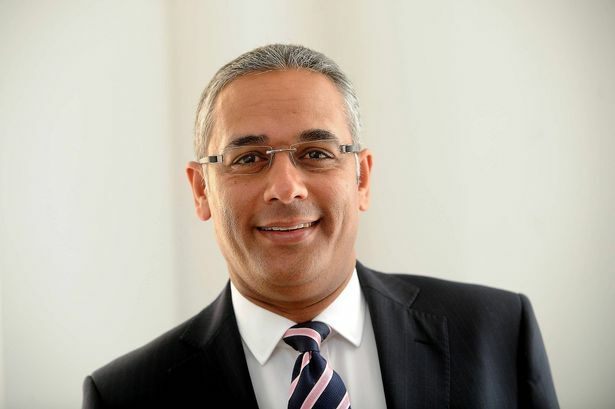 Mustafa Abdulhusein, head of Grant Thornton’s corporate finance team in the Midlands, said: “We’re continuing to see an increasing appetite for market-leading businesses in the region from acquisitive overseas buyers. “Over the last six months the local team has advised on deals where complex regulation and approval processes needed to be managed carefully and where our ability to provide transaction tax advice across multiple jurisdictions was key. “People are in the mind-set to do deals and there’s more willingness to pay tomorrow’s price today for the right asset. Alex Hyde, transaction advisory services director in Grant Thornton’s Birmingham office added: “Deal volumes have shown a notable increase in the first half of 2015, with the technology, telecoms, healthcare, recruitment and training sectors being particularly active.